Within Each of Us, Ofttimes, There Dwells a Mighty and Raging Trading Card. 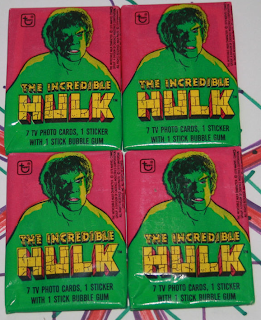 Here are two more packs of the trading cards from the classic television show, "The Incredible Hulk". As you open them up and collect them, you might notice that most of the cards come from the first season of the show. There are a few from the second season but most of them are from the first season. Not only that, but they come mostly from certain episodes. There are scenes from the pilot, the 747 episodes and the Times Square episode. 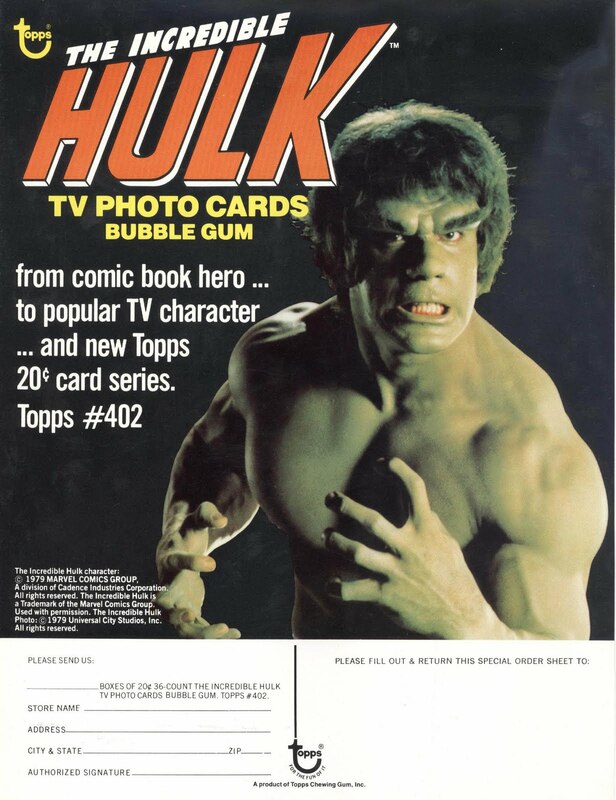 Plus there are the ones from where David Banner goes through hypno therapy and confronts the Hulk in his hypnosis. Interesting choice of episodes. Here's packs 5 & 6. Enjoy! 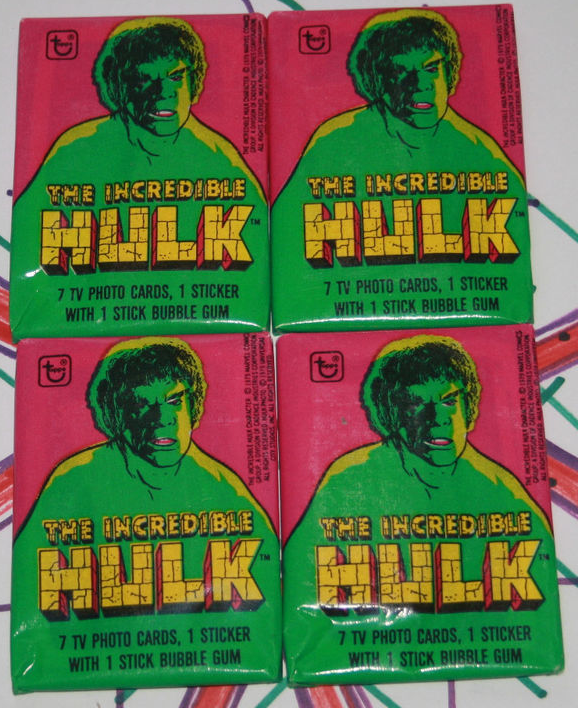 Here are the next two packs of cards from "The Incredible Hulk" set. These cards were originally released in 1979. They are still a much sought after set to this day. A collectible shop in a mall not too far from where I live sells the original wax packs. While most cards from that era are selling for a dollar or two a pack, these sell for $5 a pack. If I needed them, I probably would spend that much. Here are packs 3 and 4 and remember to keep a look out for those bonus cards and stickers! Since I received that great e-mail from Kenneth Johnson a few posts back, I thought it fitting to serve up the next set of trading cards to you. This time, as you may have already guessed, it's The Incredible Hulk set from 1979. The set features 88 cards and 22 stickers. In keeping with the original packs, I have included 7 cards in each pack but instead of just one sticker I am giving you two! Woo hoo! And to keep the math straight and not have any doubles, I've included bonus cards from other trading card series featuring the Hulk throughout the set. Keep an eye out for them! Here are the first two packs! Enjoy! Yesterday, my son and I were out driving around listening to "The Muppets Present: The Frog Prince." It captured my little two year old's ear and he eagerly awaited every new track. Just to be sure that I wasn't imagining him paying attention to the story, I asked him about it later on in the day and he recounted the whole plot and even a few items that I had forgotten. It brought a smile to my face to know that he was enjoying what was coming over the sound system. It also furthered my happiness in knowing that we have the old fashioned audio stories to listen to rather than having a DVD player in the car. Here is that same audio that we listened to yesterday (that he is still talking about today). It's a combination of the original soundtrack album and the soundtrack from the actual television special from 1971. 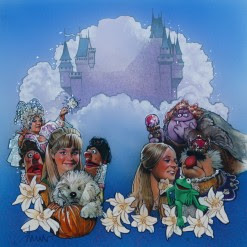 Here is "The Muppets Present: The Frog Prince". Enjoy! Kenneth Johnson Is A Fan of "Tattered Clothing"
Recently I had the privlegde of hearing your song, Tattered Clothing. I thought it was both fun and poignant (not unlike our old show). It's wonderful to know that you were such a fan of The Hulk. We certainly labored to make each episode as meaningful and substantive as possible. Our largest audience was actually adults. Working with Bix and Lou was always a treat. 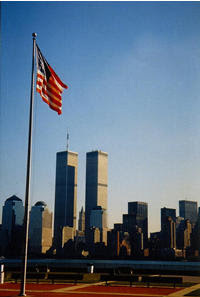 We all cared a lot. I'm glad it impacted on you so favorably. And that it inspired you to write the cool song. It reminds me that in one of the episodes I wrote this line for Bix -- after he had awakened yet again in tattered clothing: "...I have got to get some shirts that stretch." Thanks again for taking the time to write the song. It's great to hear that my work captured your imagination. 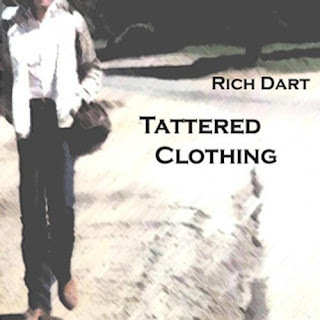 In January of last year I released the single, "Tattered Clothing". I wrote the song about 6 years ago and recorded it in various cities over the last year of the Avenue Q Tour. It features some great playing by some great players. 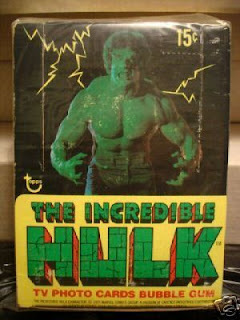 It is an ode to the 70s television classic, "The Incredible Hulk". It is available on I-Tunes & Amazon All proceeds from the sale of this single will go to The Richard S Dart Memorial Arts Scholarship. In the last half of the 90s I worked in a high school as a Resource Room Tutor. One day I happened to be walking down the hall wearing a shirt with Winnie The Pooh on the upper right hand corner. The teacher on hall duty saw me and said "You have Pooh on your shirt" to which I replied, "Oh jeez, I thought I had washed all of it off!" The joys of double entendre! Anyway, I told you that to tell you this; Winnie The Pooh was a favorite character of mine as a child and I couldn't go to bed without my stuffed Pooh Bear. I am happy to say that my son now shares this love of the character and it gave me a reason to digitize some of my Disney records so that I could put them on his i-pod and listen to them with him. One of those records I share with you today. 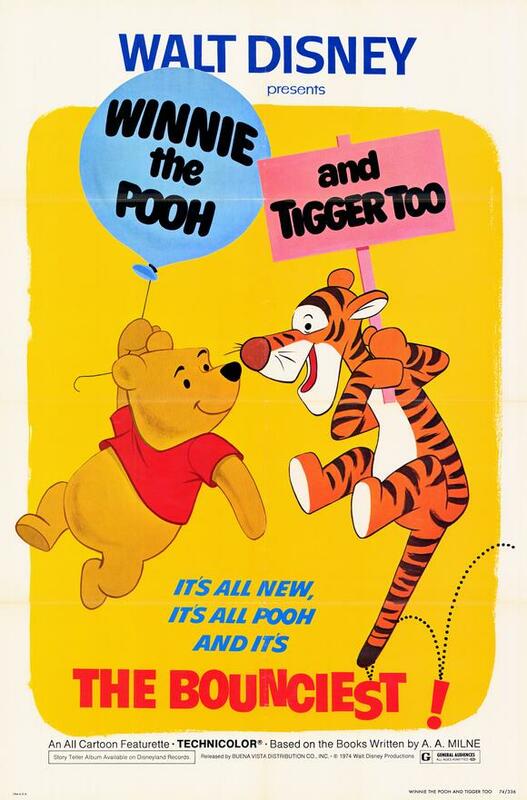 It's the story of "Winnie The Pooh and Tigger, Too!" Like "The Story of Star Wars" and others, this is a story with the dialogue and music taken right from the soundtrack to the film. Before VHS, DVD and On-Demand, this was the only way to relive the films or tv shows at home over and over again. I share this with you in hopes that you not only enjoy it, but that you share it with your little ones. 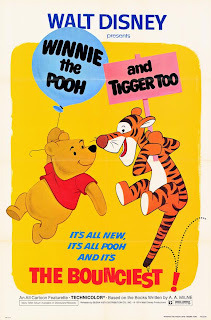 Here is "Winnie The Pooh and Tigger, Too". Enjoy! By popular request, I decided to continue with the "boxed sets" of podcasts from the last few years of The World of Wonder. This time around we get a boxed set of Podcasts 11, 12, 13 & 14. This is where things got interesting for the podcast. I tried to do themes and the first all-music podcast came from this era. Also, the Soundtrack Edition of the Podcast was released which featured nothing but songs from film soundtracks. These podcasts were much more spread out over time as I started getting busier and busier with other things so it made each one completely different from the one that came before it. Hopefully, it was all for the best. You can decide as you delve into the archives and listen again (or for some of you, the first time) to these podcasts from the past. Enjoy!